Michael Shults has been praised for his "strong, imaginative" improvisations (Downbeat Magazine) and "fresh and intelligent musical ideas" (The Pitch). Active on the Kansas City jazz scene for nearly a decade, Shults has twice appeared as a sideman on the Jazzweek National Radio Airplay Charts. Michael was a finalist in the 2012 NASA Jazz Artist Competition, and winner of the Graduate College Soloist category in the 2012 Downbeat Student Music Awards. As a concert saxophonist, Shults has been praised for his "jaw-dropping", "authoritative" technique (Bill Brownlee of the Kansas City Star). 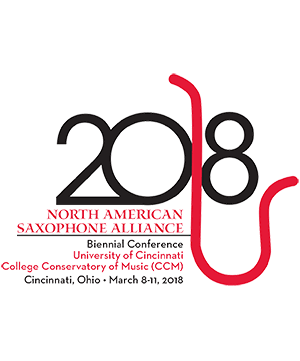 He is a founding faculty member of the Kansas City Saxophone Workshop with Zach Shemon of the PRISM Quartet, and has served on the faculty of the Eugene Rousseau Saxophone Workshop. He is currently alto saxophonist with the Coalescent Quartet. Michael is Assistant Professor of Saxophone at the University of Wisconsin-Eau Claire and a Yamaha and D'Addario performing artist.